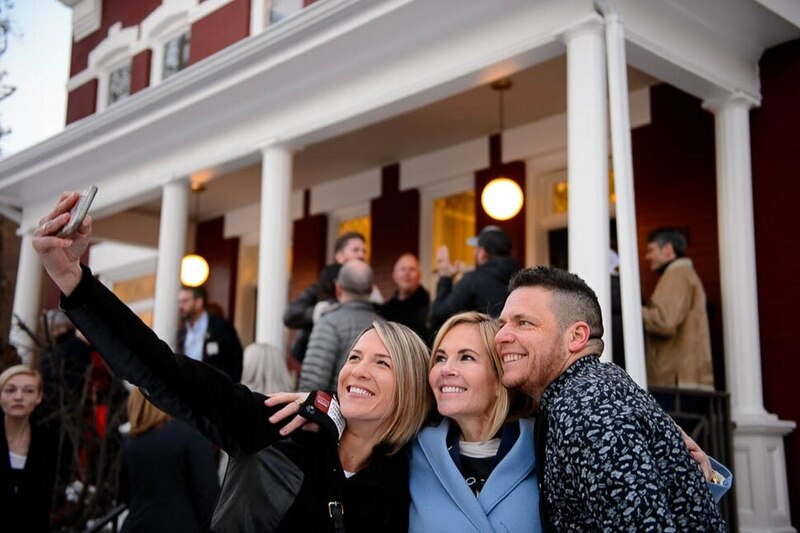 (Trent Nelson | The Salt Lake Tribune) Stephenie Larsen, center, poses for a photo with Kaylene and Kris Packer as Encircle: LGBTQ+ Family and Youth Resource Center opens its second location in Salt Lake City on Friday February 8, 2019. Larsen is the founder of Encircle. (Trent Nelson | The Salt Lake Tribune) A therapy room at Encircle: LGBTQ+ Family and Youth Resource Center's new location in Salt Lake City on Friday February 8, 2019. 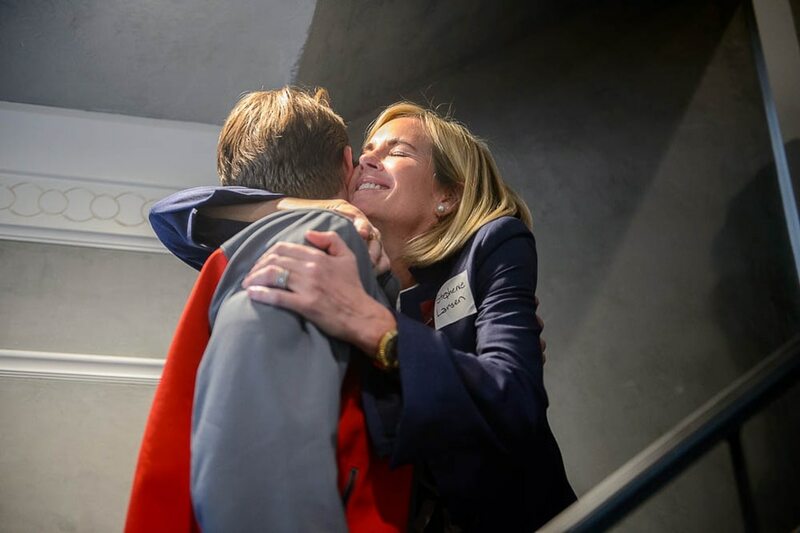 (Trent Nelson | The Salt Lake Tribune) Stephenie Larsen embraces Trevor Johnson as Encircle: LGBTQ+ Family and Youth Resource Center opens its second location in Salt Lake City on Friday February 8, 2019. Larsen is the founder of Encircle. (Trent Nelson | The Salt Lake Tribune) Encircle: LGBTQ+ Family and Youth Resource Center opens its second location in Salt Lake City on Friday February 8, 2019. (Trent Nelson | The Salt Lake Tribune) Encircle: LGBTQ+ Family and Youth Resource Center opens its second location in Salt Lake City on Friday February 8, 2019. (Trent Nelson | The Salt Lake Tribune) Staff and board members pose for a photo as Encircle: LGBTQ+ Family and Youth Resource Center opens its second location in Salt Lake City on Friday February 8, 2019. (Trent Nelson | The Salt Lake Tribune) A crowd on hand for the ribbon cutting as Encircle: LGBTQ+ Family and Youth Resource Center opens its second location in Salt Lake City on Friday February 8, 2019. (Trent Nelson | The Salt Lake Tribune) A therapy room at Encircle: LGBTQ+ Family and Youth Resource Center's new location in Salt Lake City on Friday February 8, 2019. (Trent Nelson | The Salt Lake Tribune) A crowd on hand for the ribbon cutting as Encircle: LGBTQ+ Family and Youth Resource Center opens its second location in Salt Lake City on Friday February 8, 2019. One day, there might not be a need for Encircle, a nonprofit group that helps LGBTQ youth and their families find support and build community. But that time is not here yet. So, Encircle founder Stephenie Larsen said the group will just have to keep building. The nonprofit organization opened its first center in a home in Provo two years ago, across the street from a Church of Jesus Christ of Latter-day Saints church, to combat Utah’s high rate of teen suicide — particularly suicide by LGBTQ youth. It opened another center Friday in Salt Lake City. Workers began renovating the historic building at 331 S. 600 East in June, remodeling the inside and repainting its neutral facade brick red. Named for Salt Lake City restauranteur John Williams, the 1890s-era building will open to the public Feb. 14. 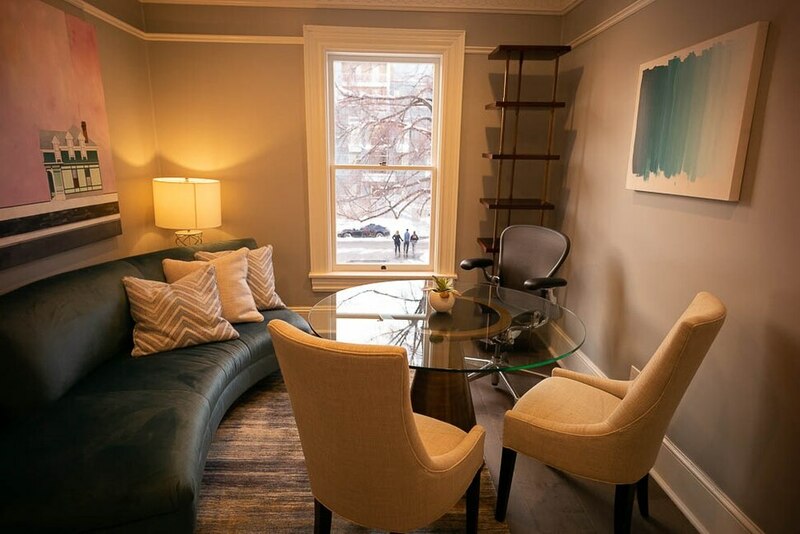 The Salt Lake City center includes four therapy rooms, three group rooms, an art room, a music room, a library, a dining room and kitchen where LGBTQ and their families can come together. A few moments later as she thanked attendees, Larsen grew emotional. The sentiment rang true in few ways. Williams, who was killed in 2016 at 72 by his estranged husband, had a knack for reviving historic buildings in Salt Lake City’s downtown, like the one the crowd gathered outside Friday. Many of his restaurants were housed in old buildings, and some at Friday’s event credited Williams with the revival of downtown Salt Lake City. He was also a bridge builder between communities, Williams’ niece Laura Forsgren said at the ribbon cutting. Forsgren said Williams showed many people that their perceptions of gay people were wrong. “In our conservative community, he broke down barriers and he promoted tolerance, and he did it with his trademark class,” she said. The center aims to do the same for the youth who use it, and show them that “they are loved and valued just as they are,” Larsen said. Several Utah politicians attended the event, including Salt Lake City Mayor Jackie Biskupski and Lt. Gov. Spencer Cox. Cox told the crowd that the center will help LGBTQ youth feel accepted. When that happens, he said, the chance those children will die by suicide lessens. He said it was incredible how much the building had changed since he first saw it months ago. Encircle differs from other LGBTQ resource centers in that is focuses on family, chief operating officer Jacob Dunford said. It also tries to create a dialogue between faith communities and LGBTQ people. The center hosts multiple events per week, including group discussion, art projects, a speaker series and service events. They also host therapy sessions and “friendship circles,” where LGBTQ people, divided into categories like age or sexual orientation, can come together and talk about issues. "I hope this home will always reflect what John Williams cared about: family, community, creativity and the arts,” Larsen said. Both centers are open Monday through Friday from 2 to 8 p.m. For more information, visit encircletogether.org. Correction: 11:45 a.m. Feb. 9: The spelling of Laura Forsgren's surname has been corrected.